The mission is unfolding smoothly so far on Mission Day 3, a testimony to hard work and professionalism of the people involved. 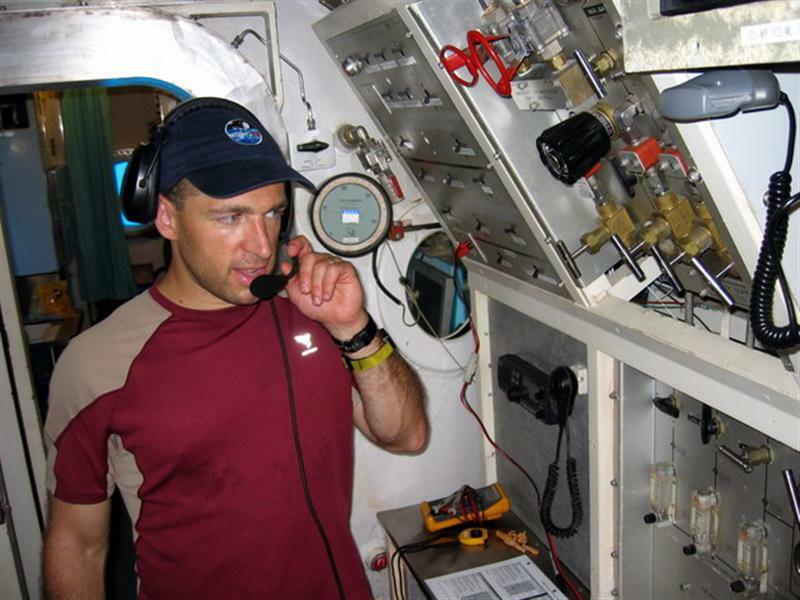 As a veteran aquanaut, Nick Patrick is setting a high bar commanding this mission. Meanwhile, our friends aboard the Shuttle Endeavour successfully launched tonight on their way to the International Space Station. 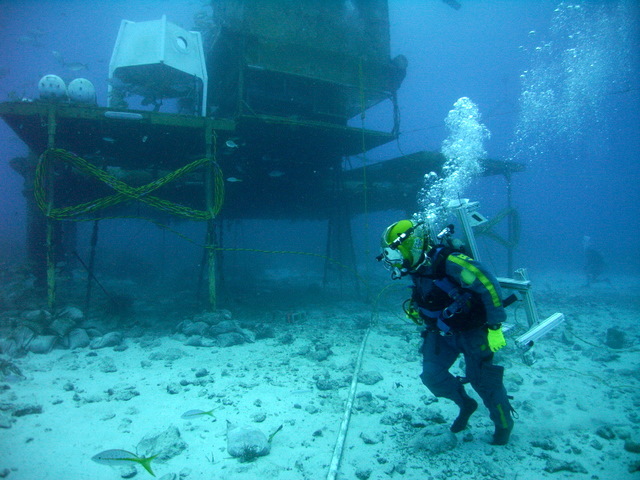 Commanding that mission is 2-time NEEMO aquanaut Scott Kelly, along with Dr. Dave Williams, another 2-time NEEMO aquanaut. 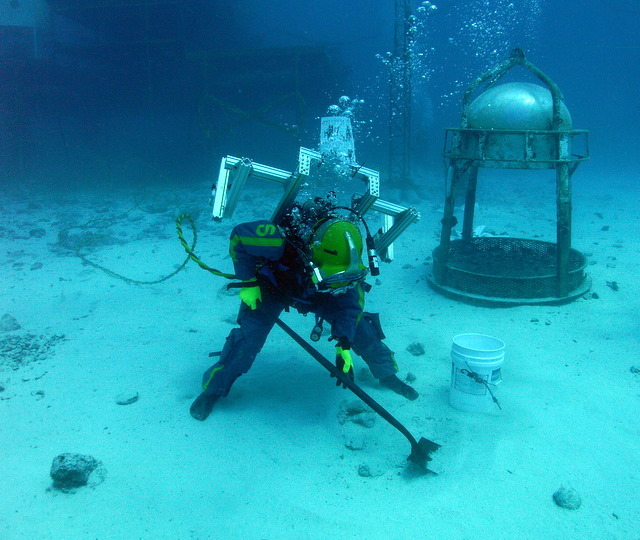 The primary tasks for these first days involved objectives from the NASA EVA Physiology, Systems and Performance (EPSP) Project . As they have on 4 previous missions, they are using this opportunity to expand an ongoing study to understand how both the center of gravity (CG) and the weight of a spacesuit affect performance in conducting exploration tasks in simulated lunar gravity. Based on data collected in these missions and other NASA based studies, the NASA engineering team is in the process of refining their space suit design to limit the CG effects and optimize total weight. 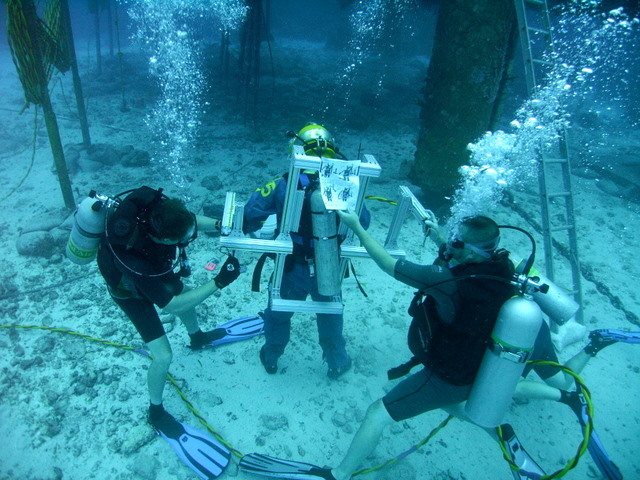 For the CG task, the aquanauts wear a reconfigurable backpack developed by the EPSP team working in conjunction with the Crew and Thermal Systems engineers. Then they perform the activities representative of lunar exploration tasks for different CG configurations, and evaluate how poorly or well they can do each task. These tasks include: timed walks and jogs, ascending and descending a 20 degree ramp, kneeling, falling and recovering, picking up rocks, shoveling and climbing ladders. This study includes three different CG locations currently under consideration for the new lunar suits, and for comparison, an additional CG config from the suits we used 3 decades ago for Apollo. In addition to understanding the effect of CG on crew performance, we are also evaluating the importance of overall suit weight. Having a space suit which is too light may result in poor traction for performing tasks. However, if the space suit is too heavy, just moving in it can be tiring, much less doing work in it. The same exploration tasks listed above will be performed with 5 different suit weights to understand the interrelationships between CG and weight in performing Lunar Exploration tasks. This is an important consideration in the design of the future space suit and portable life support system.